Our upwards of fifty years of experience in the commercial moving and storage business has taught us that every move is unique. Due to this, we approach each move – no matter the size – with the same careful preparation and execution. Our experienced Account Executives will help guide you through the process, accessing the needs of your individual move and creating a plan that will allow for a smooth transition into your new office. Along with an Account Executive, Globe will also assign a seasoned Project Manager to your account, who will work with your team to assure the seamless implementation of your move plan. Under the direction of your designated Project Manager, our experienced, unionized workers will then carefully handle the packing, relocating, and unpacking of your valuable office possessions. Globe is also able to offer additional move services, such as record shredding, furniture installation and liquidation, as well as the disconnection and reinstallation of technology, all to aid in a seamless transition into your new space. Here at Globe we understand the importance of completing a move with little inconvenience to your staff and no interruption to your business. Due to this, we promise that your job will be completed with our trademark care and precision that we have come to pride ourselves on. In addition to our commercial moving services, Globe has the ability to store your company’s valuable possessions, including records, furniture, electronics, and everything in between. 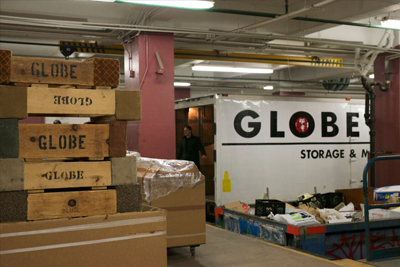 To better accommodate our New York City area clientele, Globe has a storage facility located in Queens. Our warehouses are managed by professionals who have upwards of ten years of experience in the field. Furthermore, our facility is protected by state-of-the-art security systems, ensuring the safety of your company’s valuables. For your convenience, we will also provide you with your own login, where you will be able to securely manage your assets, place orders, and track items directly through our website. Here at Globe we understand just how valuable your company’s assets are; because of this, we take every necessary step to allow our clients to feel comfortable leaving their possessions in our very capable hands. If your move requires the disassembly and/or installation of furniture, Globe is capable of managing the process. Our carpenters, who are certified by all major office furniture manufacturers, will dismantle and then reinstall your furniture at your new location. You can even work with our carpenters to create a new configuration that will allow your furniture to fit best in your new space. Thus by working with us and combining the furniture dismantle/installation with the move portion of your relocation, we can guarantee that you will be saving both time and money. If your project includes the relocation of computers or other IT equipment, we can also assist you with the disconnection and reinstallation process. With the help of your Account Manager, we will provide you with a technology consultant, who will then meet with your IT Department; there we will create and then implement a plan that will best meet the needs of your organization. Additionally, you can feel confident knowing that all of your technology will be disconnected and then reinstalled by trained technicians who will ultimately ensure the safety of the devices. If your office contains high-value fine art or antique furniture, Globe can assist you with the secure transport of these pieces. 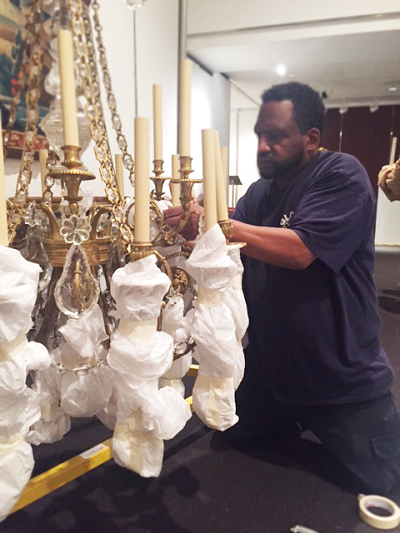 Prior to the scheduled removal date, one of our fine art project managers – each trained by either Christie’s Auction House or Sotheby’s – will perform a survey of your high-value inventory, and determine the necessary packing strategy. This plan is then implemented and executed by our art handlers, with close supervision from our project manager. 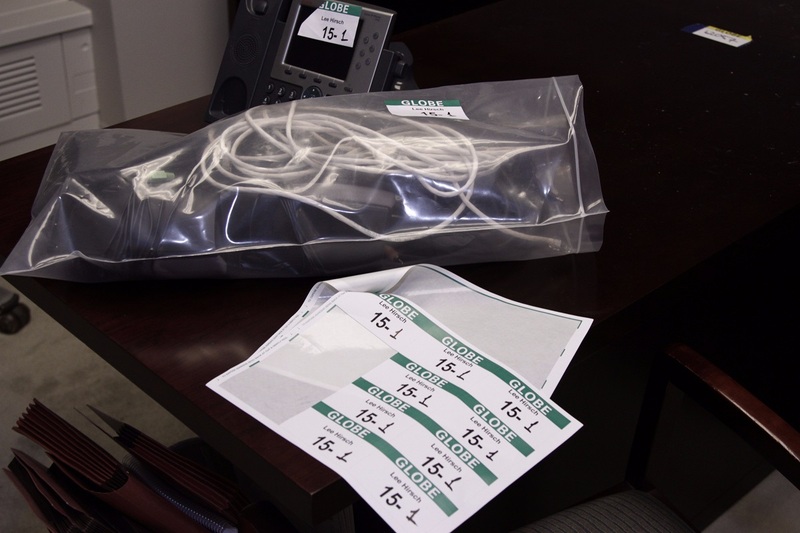 The items are then safely transported, carefully unwrapped, and should you desire, seamlessly installed. When your old furniture will not be a part of your new office, Globe can assist you with the liquidation process. With several different ways to liquidate your unwanted assets, we can help manage the process. Whether they are sold to used-furniture dealers, donated to charitable organizations, purchased by employees themselves, or simply recycled or discarded, Globe will execute a plan that is most economically viable for you. If you’re holding onto confidential records that you wish to securely dispose of, Globe is here to help. 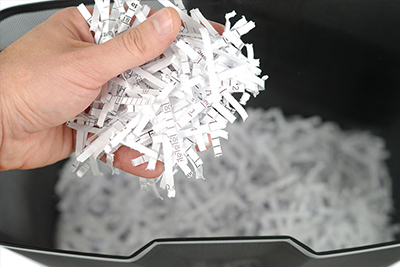 By offering both mobile shredding (“on-site”) and plant-based shredding (“off-site”), your records can be safely disposed of either before, during, or after your move. On-site shredding allows customers to watch the shredding process take place at their office, while our more economical off-site shredding transports your materials to a shredding center where they are securely destroyed. Whichever service you may choose, we will provide you with a certificate of completion, assuring that your documents were safely disposed of.